In the past, I admit that I have gone way overboard on purchasing holiday gifts for my kids. I entered every holiday season without a solid spending plan in place. This typically resulted in me buying too many gifts that weren’t really necessary. This holiday season, I made a few changes. My husband and I started a strict budget last year and we’ve been trying our best to stick to it. Thankfully, we are in a good place and we didn’t go over the budget on Christmas gifts this year! We are entering 2019 completely debt free. This is the book that helped us start our journey to becoming debt free! You, TOO can start the new year without going into huge debt from overspending during the season. Here are a few tips. You must have a plan this holiday season if you don’t want to overspend or go into debt. Set an amount that you can afford comfortably and make a plan to stick to that amount without going over. Try to shop in one place to avoid hefty shipping charges. We find great deals at Amazon every holiday season! We use Amazon Prime to get free shipping. Enjoy this special offer: Try Amazon Prime FREE for 30 Days! Write down the names of everyone you plan to buy for. Include family, friends, coworkers, teachers, etc. If you will be attending any holiday parties with gift exchanges, be sure to include those expenses as well. Assign an amount that you want to spend on each person. Stick to the amount when shopping. Remember the budget! Keep in mind that you don’t have to go to a retail store or mall to find gifts for loved ones. You can make gifts, too. Consider DIY gifts for a few of the recipients on your list. 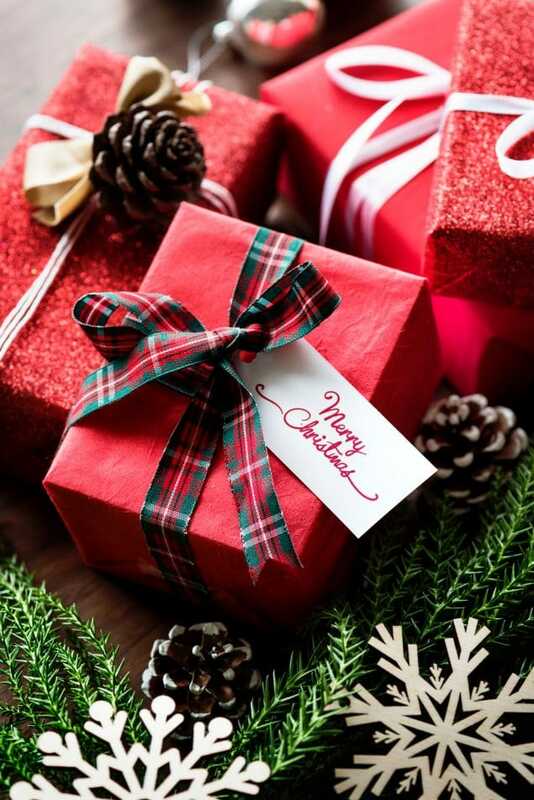 This can be a controversial topic, but if you have been given a gift that you think someone else will enjoy, give it to someone that you think will benefit from it. You can even shop at thrift stores throughout the year and find unopened gifts at a low price. Just place them in your gift closet until you are ready to give them to the recipient. 6. Shop at dollar stores for stocking stuffers. You can fill a stocking with great items from Dollar Tree. Choose 5-10 items to include in stockings. Find items like candy, small toys, hair supplies, toothbrushes, notebooks, school supplies, and more at the dollar store! 7. Give the gift of time. Give the gift of time. The gift of time can be one of the greatest gifts of all. Remember the reason for the season. Money doesn’t buy love. Create special memories this holiday season with family and friends. Memories are FREE! Bonus Tip: Don’t forget to check all of your rewards accounts to see if you have an extra cash or rewards balance from places like: Swagbucks, Ebates, or Ibotta. Keep these tips in mind this holiday season. Do you have any tips to add to this list? How do you save on gifts during the holidays?